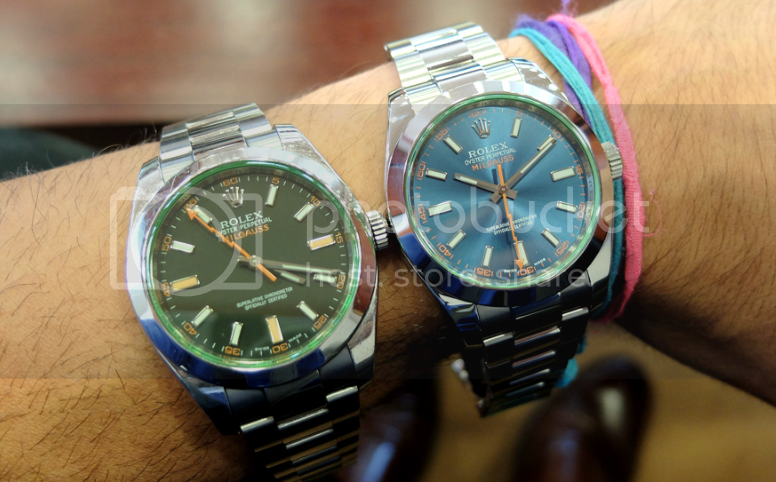 TimeZone : Rolex - Modern » Rolex Milgauss green sapphire, Blue dial or Black? Hi guys. I've been thinking of getting a Milgauss but can't make a decision between the Blue dial or Black. Previous Topic: I am continually amazed at how light and comfortable this watch is..